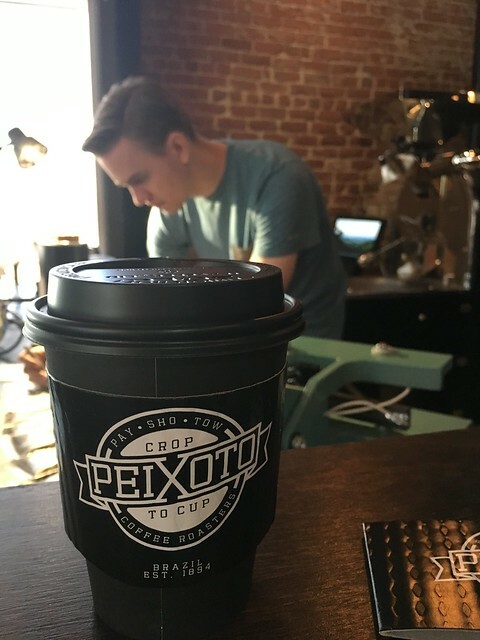 Knowing Mauri’s great interest in coffee, Quinn gave us a high recommendation for this shop in Chandler. 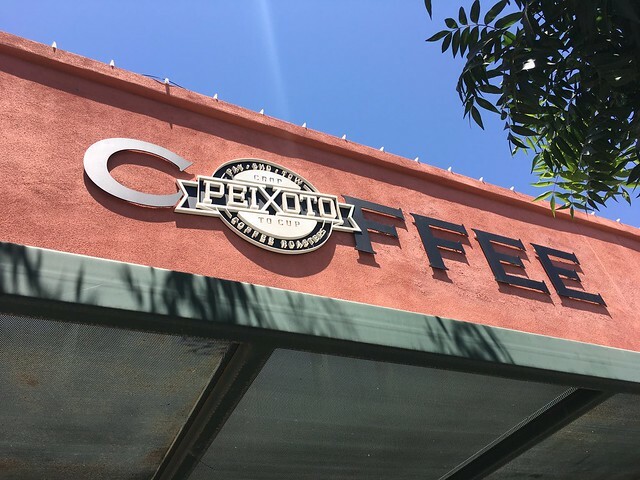 While ordering our drinks I asked for the pronunciation of the name: Peixoto. He said it, then handed me a cup sleeve with the printed logo to help me remember. Pay Sho Tow, with equal accent on all three syllables. It appears I’m not the first to ask for help with this. 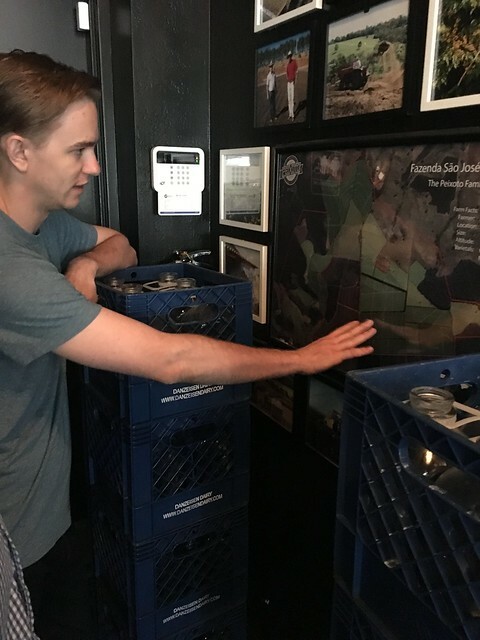 We sat at the counter to get a good look at the roaster (equipment) and the roaster (person). 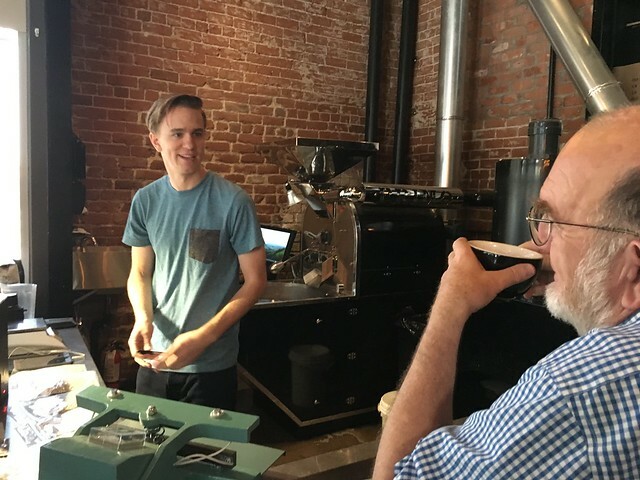 He chatted with Mauri while continuing his work of roasting 50-gram samples in a special sample roaster (not shown). Mauri’s more-than-casual interest led our new friend to show us the map where these beans are grown——on a farm owned by Peixoto (the coffee shop). 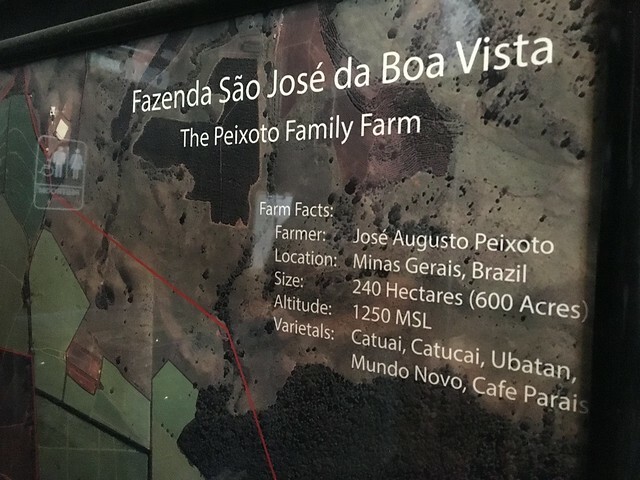 Interestingly, the farmer’s name is Peixoto! Do you think that’s a coincidence? And yes, it is fair wage. I asked, though these days it probably goes without (asking). 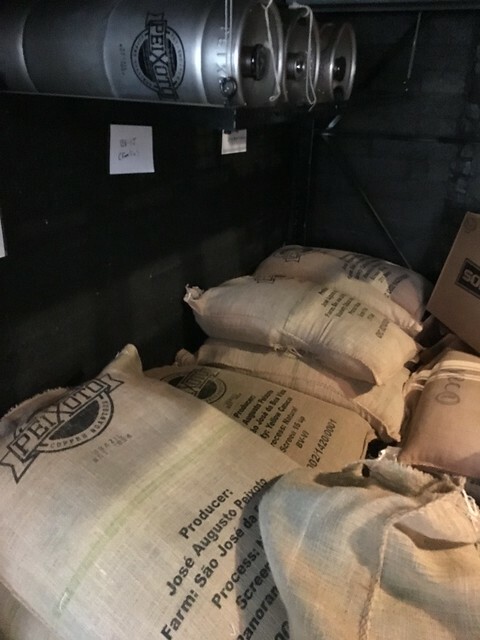 Our roaster friend, whose name neither of us asked (though I did ask permission to photograph him), is not related to the owners but just happened to be in the right place at the right time when the shop opened and needed someone with his interest and expertise. And so you can see that even a visit to a small coffee shop can turn into an adventure when your travel partner is Mauri Macy.